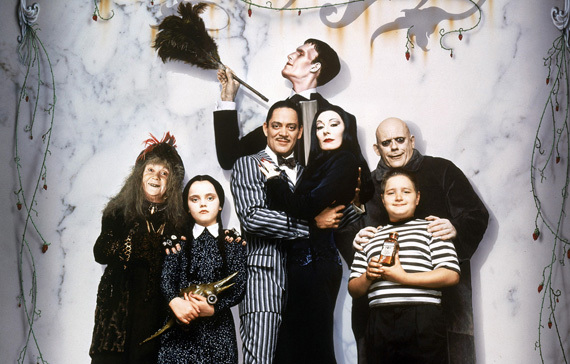 ‘The Addams Family’ Is Getting Revived!!! Snap. Snap. MGM is rebooting ‘The Addams Family‘, but this time, instead of a live action feature film, it will be an animated movie in the same vein as ‘Monster House‘. Gail Berman and Lloyd Braun will be producing the project with Pamela Pettler writing the screenplay. Pettler wrote ‘Corpse Bride‘ and ‘Monster House’. For those of you who don’t remember, ‘The Addams family‘ started as cartoon strips back in the 1930s. Then it became a gigantic television hit on ABC in the 60s. Then of course, there were two big screen adaptations in the 90s, which were awesome, and of course most recently a Broadway play. Earlier this year, Tim Burton was set to make a stop motion ‘Addams family’ film, but it all fell a part, according to Variety. I think he would have been perfect for something like that. I’m glad to the Addams in the spotlight again. It’s going to be hard to replace the cast in the previous feature films, but I’m ready for a new look. Plus maybe, we will get MC Hammer to do another song. This entry was posted on Thursday, October 31st, 2013 at 11:35 am	and is filed under Film, News. You can follow any responses to this entry through the RSS 2.0 feed. You can skip to the end and leave a response. Pinging is currently not allowed. Leave out MC Hammer, and we have a deal. /Is Vic Mizzy still alive? //for a project like this, does that even matter? What, you don’t like Addams Groove? ?